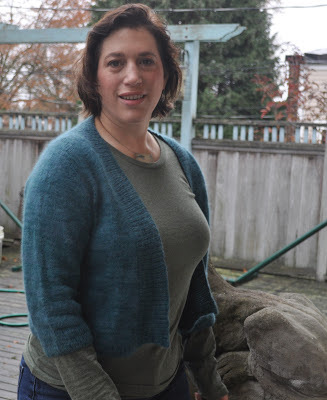 Featherweight Cardigan in Kimmet Croft Fairy Hare. Not only never worn but I had to weave in all the ends this morning! Knit in 2009!